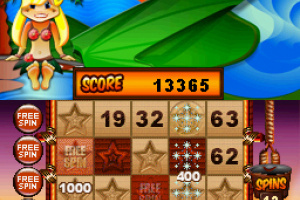 Remember Slingo, the popular, fun and highly addictive internet game that had you wasting most of your work hours trying to get the high score? 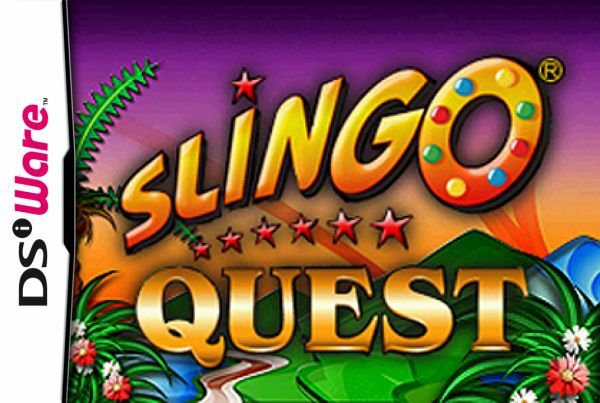 Well, thanks to MumboJumbo, this incredible browser game is now available on DSiWare in the form of Slingo Quest, a reincarnation of the classic with a few extra surprises. 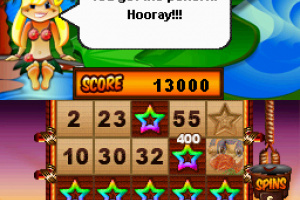 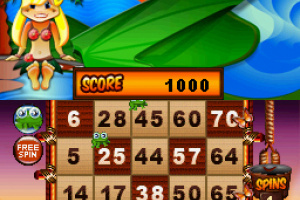 Slingo is incredibly simple, and that can account for..
Slingo Quest combines two classics - slots and bingo - in the ultimate puzzle game. 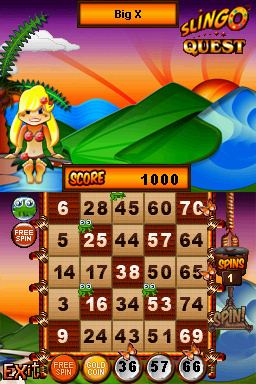 Spin the traditional five-reel slot machine, then match the numbers on your cards (across, down or diagonally) and hit a Slingo. 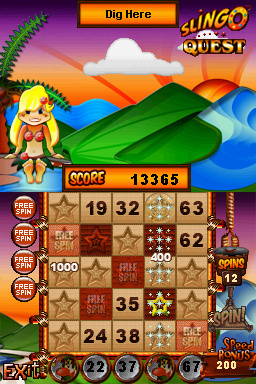 Create as many Slingos as you can in 20 spins with the help of fun power-ups. 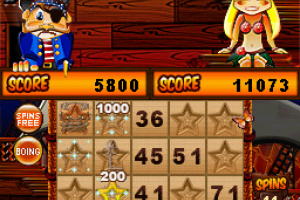 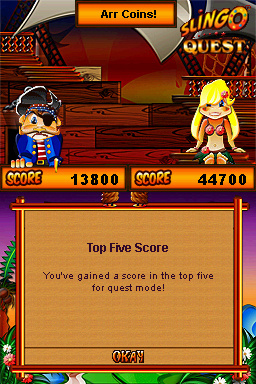 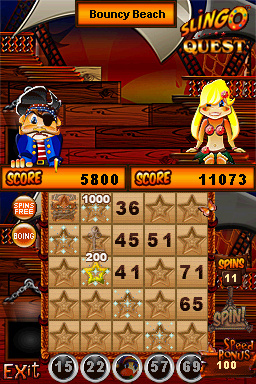 Fun game modes include Multi-Card Slingo, Seven by Seven Slingo and Pirate's Fortune Slingo. 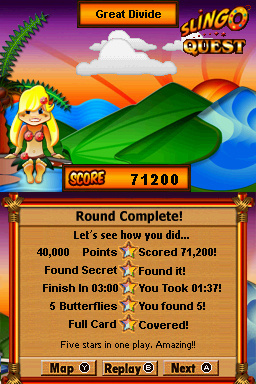 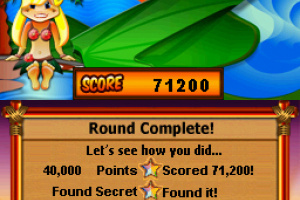 Collect cool power-ups, including Slingo Vision, Devil Protection and Multipliers. 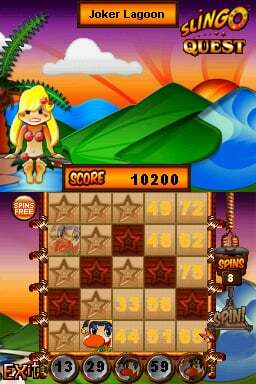 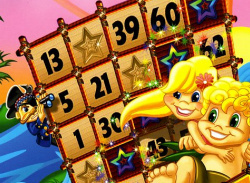 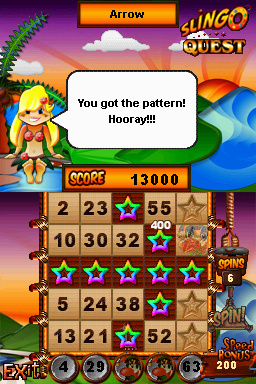 Play through 50 fun levels of Slingo, collecting Slingo Stars and Stamps for big bonuses. 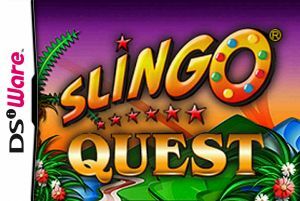 Are you ready for the next Slingo challenge? 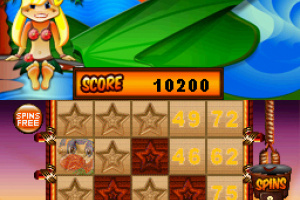 I thought Tetris was the ultimate puzzle game.